Ο «Τζιμάκος» γύρισε το πρώτο βίντεοκλιπ στην Ελλάδα, το «σνόμπαρε» ο Σαββόπουλος, το διέσωσε ο Χατζιδάκις δείτε το | Το Κουτί της Πανδώρας. A simple flow chart outlines nearly 50 different Italian red wines by taste. Find what Italian red to try next in a useful and relatable way. Sharing Code Copy/Paste to embed code below. *Depends on business, location and your skill level. 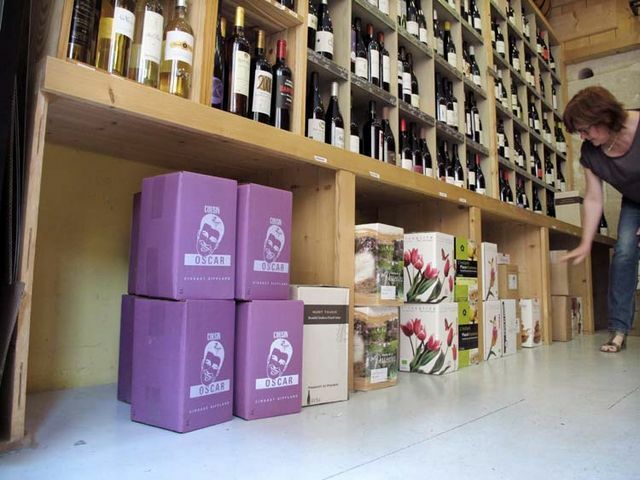 Pay can be based on % of wine sales. Each of these steps require rigorous study, both mentally and physically, to achieve your position as a pro. Here are some specifics on how to get started and what to expect down the road. Everyone has a different way to taste wine, but there is a standard set of steps that you will want to observe to make a professional assessment on wine. This type of assessment is more about connecting the dots between a flavor, such as clove and vanilla in a sample Pinot Noir, to the conclusion of the use of French oak in its make up. So what should you be tasting to get your palate tuned? 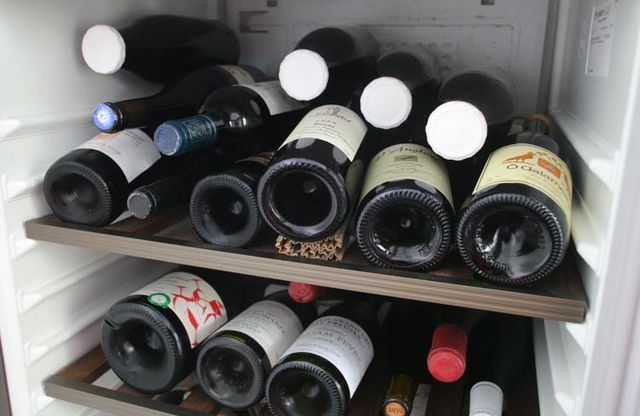 Check out this unofficial list of classic wines to know what you should be tasting. Learn how to take detailed tasting notes. Evernote has proven to be effective for this task. France, Italy, Spain and the US are the top 4 wine regions of the world. Of course, you’ll need to know about more regions than just these, but this is a good place to start. Learn the major regions of each country and get to know what wines they make. For this part, you should benefit from buying a wine book and creating flashcards. Need some inspiration for note cards? 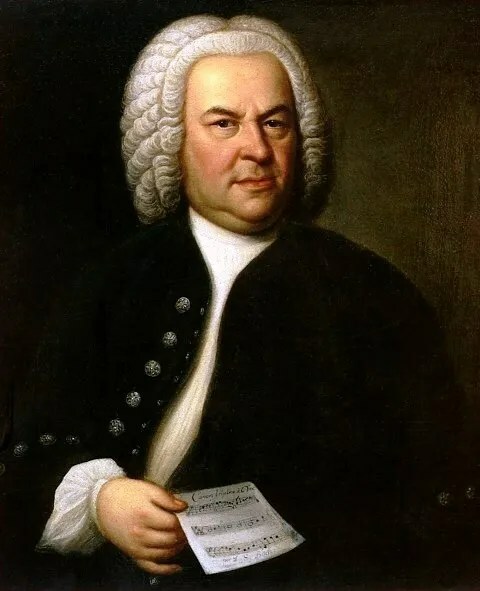 We liked user mpsansbury9 and escabatum_rip3 notes as well as notes by bubblyprofessor.com who teaches WSET wine courses. The most overlooked and often forgotten art of presenting, opening and pouring wine is something a sommelier takes a lot of pride in perfecting. This part of your education requires attention to etiquette and the physical ability of the job. You’ll want to practice the physical act of opening Champagne, and of presenting and pouring wine. You might consider getting a book on hospitality to learn additional tips on tact and more nuanced procedures. Learning how to observe and juggle many task at once is something you’ll learn on the job. Now you can get to work! If you don’t already have a job in the hospitality industry, you’ve just armed yourself with enough skills to impress a hospitality manager to give you a try. Of course, it’s not easy to get a job as a wine server or sommelier right away without any prior experience, so be prepared to get creative. Look for opportunities to be a server at a wine-driven restaurant, a wine bar, a tasting room, a catering business, or even as hotel banquet staff. These are all great opportunities to build your experience. These jobs may seem lowly (especially if you’ve achieved status in another career) but don’t let this get to you. Working the floor at a restaurant is actually quite challenging; think of it as boot camp for sommeliers. If you realize during this process that the industry is not for you, you can at least walk away with exciting wine knowledge and less upfront cost. Do they offer staff wine tasting or training? Do they offer to reimburse or pay for Intro wine exams? Do they offer any perks or contests for increased wine sales? Do they change their list of wine by the glass often? The very best restaurants employ people who anticipate the needs of their guests and maximize sales, all while being ingratiating, humble and often invisible. For this, you’ll want to be squeaky clean, well-groomed and dressed appropriately. TIP: Humility: Many diners treat restaurant staff with very little respect. You’ll want to learn how to brush your shoulders off and not let it bother you. Dustin Wilson ‘tongs’ a bottle of wine at Eleven Madison Park in NYC. Watch the video. Do I need to have a certificate to be a Sommelier? No. You don’t actually need to be certified to become a sommelier. However, getting certified will improve your chances and reduce your competition to get the job you want. You should expect to pay about $1000 depending on what course option you choose. This price doesn’t include the cost of your educational booze purchases. Which Wine Course Should I Choose? Check out this awesome guide on wine courses, written by Sommelier Rina Bussell. Being a sommelier may be fun at on the job, but it’s even more fun when you get to know your peers off the job. After you pass, consider joining in on the conversation on Guildsomm, a professional network for sommeliers. Wine Folly – Learn about wine and spirits. Sherry wine isn’t sweet, in fact, most are dry. In Spain, Sherry wine is savored like a fine whiskey. Get to know the different styles of Sherry wine and which ones you ought to try (and even the ones to avoid). Jackson Rohrbaugh, a Sommelier at Canlis, brings us up to speed on how to love Sherry. You have been lied to. Somewhere, somehow, you were taught that all Sherry is sweet, sticky and unpalatable. Maybe it was a childhood sip snuck from a dusty old bottle kept atop grandma’s fridge, or a cheap label of the mass-produced California “sherry” on the supermarket shelf. If you’re a lover of brown spirits, then Sherry might be the favorite wine you’ve never tried. Sherry is often shown in tiny crystal glasses but you can drink it in any style of stemmed glassware. We can start with a few truths: Sherry is a fortified white wine from Andalucía Southern Spain and it has been made for centuries. Most of it is dry and meant to be paired with food. I’m here to dispel the myths and tell you why Sherry is one of the greatest beverages on the planet. We’re going to start by debunking a few myths about Sherry. Isn’t Sherry Just a Sweet Wine? Some of the sweet styles make great dessert wines or fireside sippers (such as PX), but they aren’t representative of the whole. Americans, in our thirst for sweet, soda-like beverages, gave this sweet Sherry a market in the mid-20th century, while the Spaniards and Brits kept the best, complex and dry stuff for themselves. We’re going to explore these dry styles and showcase why they deserve their place alongside the world’s classic wines. Where Does True Sherry Come From? True Sherry can only be made in Southern Spain. See the full Spanish Wine Map. Sherry’s magnificence comes from the fact that, like Champagne, true Sherry can only be made in one tiny corner of the world. Many imitators have tried to replicate the salty, nutty, and aromatic profile of Sherry throughout history, but the unique winds, humidity, soil and seasonal changes in Andalucía give a singular character to the wines produced there. TIP: Watch our for cheap imitations of Sherry not made in Southern Spain. Unlike litigation-happy Champagne, the Sherry Consejo Regulador and Spanish government have not done much over the years to protect the Sherry name around the world, so many cheap imitations are still sold with the name Sherry on the bottle. Most are sweetened bulk wines with chemicals added for color and flavor. Isn’t Fortified Wine Too Strong? Well, you’re supposed to drink less of it! Sherry’s powerful flavor and slightly higher alcohol content mean that a single serving can be about half of a normal six-ounce glass of wine. Sherry ranges from 15% ABV to over 20%. Many full-bodied red wines like Argentinean Malbec and Napa Valley Cabernet clock in at 15-16% alcohol or more, so you shouldn’t be too worried. This extra strength actually helps Sherry pair well with many foods. Now that we’ve explored the rich lore of Sherry, here’s a few tips for buying Sherry, and a few applications for pairing it with food. FINO & MANZANILLA: These are the lightest styles of Sherry. These age, for as few as two or as many as ten years, under a layer of flor and when bottled are meant to be consumed right away. They are delicious with olives,Marcona almonds, and cured meats. With oysters,Fino andManzanilla Sherry vie with Champagne as the greatest pairing on earth.￼￼￼￼￼￼￼￼￼￼￼￼Try González-Byass’ classic Tío Pepe Fino for a light, crisp classic. For something more funky, try the single-vineyard Valdespino’s Fino Inocente or Hidalgo’s La Gitana Manzanilla En Rama, which is bottled straight from the cask without filtration. Serve Fino and Manzanilla cold for the best results. AMONTILLADO: When aFino’s layer of flor fades or the wine is intentionally fortified to a high strength, it begins to oxidize and change character. This is an Amontillado Sherry or, simply put, an agedFino. These wines have some of the salty bite of a Fino but with a darker color and a nuttier, richer finish on the palate. Amontillado Sherry is also a versatile food wine, sidling comfortably up to prawns, seafood soup, roast chicken, or a cheese plate.Try Lustau’s Los Arcos for a rich, stylish classic, or Williams & Humbert’s Jalifa 30 year-old VORS for something intense and unforgettable. PALO CORTADO: This is a strange, beautiful and less common style of Sherry that occurs in certain circumstances when flor yeast dies unexpectedly and the wine begins to take on oxygen. A PaloCortado has some salty character, but its body is richer and more intense. PaloCortado can behave like an Amontillado on the palate but often shows a great balance of richness and delicacy.Try Valdespino’s Palo Cortado Viejo for something delicious and complex, or Hidalgo’s Wellington 20-year for a showpiece. OLOROSO:Oloroso never develops flor. Instead, all the flavor in these wines comes from the interaction of wine and air. Usually oxidized wine is considered faulty, but when left for five to twenty-five years, the wine in a Sherrysolera will develop into a full-bodied, dark and expressive substance that begs to be enjoyed with braised beef, bitter chocolate, and bleu cheese.Oloroso Sherry is aromatic and spicy, and can drink like a finely aged bourbon.Try González-Byass’ Alfonso for an archetypal Oloroso, or Fernando de Castilla’s Antique for something rareified and memorable. There’s no other wine that offers the age and complexity of Sherry for the price. Now that you have a good impression of the styles of Sherry wine, Here are some additional things that, when combined, make Sherry unique among all the wines in the world. Merchants would fortify Spanish wines with brandy to survive rough seas. When sailors roamed the oceans in the Golden Age of exploration, they always brought alcohol with them. Water was disease-ridden and unreliable, and wine or rum was added to water for its antiseptic properties. Since casks of wine would spoil after weeks in the hot tropical sun, merchants added brandy to their barrels to “fortify” the wine and protect it. British began to prefer their wine this way and their merchants set up shop in Jerez de la Frontera, where they began to fortify the local wines for shipping. It helped that Sir ￼￼￼Francis Drake had raided the port of Cádiz near Jerez in 1587 and seized a few thousand barrels of Sherry. Upon his return to England, Drake’s stolen wine became all the rage and gave the wines of Jerez a devoted market. There is no place in the world that can make wines like those of Jerez. Besides white chalky soil and warm sun for growing grapes, the winds are ideal. The Poniente and Levante blow across the region and give the open-air cellars the right combination of humidity and temperature to gently age the wines in barrel. A unique phenomenon called flor happens in Andalucía’s warm seaside climate. In barrels of new wine each year, a layer of yeast will form on the surface of the wine and transform its flavors. Flor gives the wine a tangy, salty character as it matures. And maturing is what Sherry is all about. Like most Champagne and Scotch, Sherry is a blended product. Old barrels of wine in a Sherry bodega are refreshed with slightly younger wine each year, then the oldest blended barrel is bottled. This is called the Solera system, and it creates a wine that is the product of as few as 3 or as many as 100 vintages, and is well worth the price. A Solera is, put simply, a group of barrels used to age a single wine; and the wine in these barrels will develop more complexity each year as fresh wine is added. Sherry is aged in oak casks, which have proven themselves over centuries to be the best vessel for aging both wine and spirits. Once the Sherry cellar is finished with a cask, it’s sold to a distiller of Scotch. If you’re a lover of brown spirits, then Sherry might be your favorite wine you’ve never tried. Many Scotch Whiskeys and rums are finished in used Sherry casks, lending that layer of nutty, toffee-glazed complexity so prized in a great dram. Macallan, Glenmorangie and many of the other great Speyside distilleries form their styles around this practice. FACT: During the Colonial period Sherry casks were too expensive to ship back, so they were used to store whiskey. Distillers noticed a great improvement in the flavor after storage and thus, the Sherry cask Scotch was born. Sherry —especially a dark, rich Oloroso or a tangy Amontillado, can be just as intense as an aged whiskey. Spirits with 10-20 years of age command a high price, but many Sherries can be found under $20. Many are from Soleras where the youngest barrel is 10 years old and the oldest may be 100! 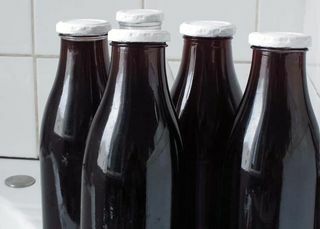 Forget the cork, the crown cap and other sophisticated closures not really suited for swift home use : let’s reintroduce the milk bottle, a good way to bottle your thirst wine intended for early drinking and no-fuss wine experience. You don’t need a cork screw anymore, the larger size (one liter versus 75 centiliters) makes it convenient for a party or a picnic, the bottles are shorter, more stable and easily reusable, there’s hardly an hesitation when you look closer. The only thing is your guests might think this vulgar bottle containsa uninteresting wine (no label, bottled in a sort of jug) but consider this judgement on the container like those negative views on sediments in a bottle (sediments used to be associated with faulty wine in the conventional school) : if your guests know your wine tastes and experience, they’ll go beyond the first apprehension and open themselves to the wine, brushing aside the odd container.The other advantages of this format are many : You bottle the wine with a single quarter turn and it’s air-tight, you dont’ need a funnel to fill the bottles, you don’t have to plan ahead to organize a bottling session in your kitchen with all sort of tools and precautions. And still if you leave on the side one of these bottle for a few months (not drinking the wine right away) it is very likely that your wine will be fine after a few weeks, possibly months__and maybe years although I’ll not risk this type of bottling on a high-value wine, given I’d find a high-value wine in bulk in the first place (ever asked in a “top winery” if they had wine in bulk ?). So, we’re dealing with thirst wine here, but quality thirst wine : wine made without enological corrections, a rarity nowadays, as rare as real milk, you got to source your milk directly in a dairy farm (with precisely these same bottles) in order to get milk that has not been robbed of its natural fat. 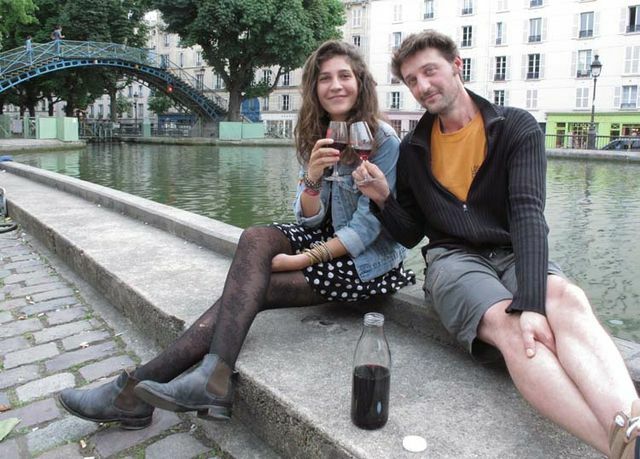 We were having a glass of Cousin Oscar with a friend along the canal Saint-Martin in Paris when we met a friendly couple passing by, Jérôme Sélèque and his friend Louise who were on their way for a drink too in the area, Jérôme happens to be in the Champagne trade (Champagne Sélèque) through his family domaine working on a 7,5-hectare surface split on 7 villages. Les Crus du Soleil, bibs and bottles from the LanguedocFor my home-bottled wine I looked for a 5-liter bag-in-box of drink-easy wine, so I headed for the Crus du Soleil in Paris, a wine shop specialized in Languedoc wines which I know sells also occasionally natural wine in this packaging size. 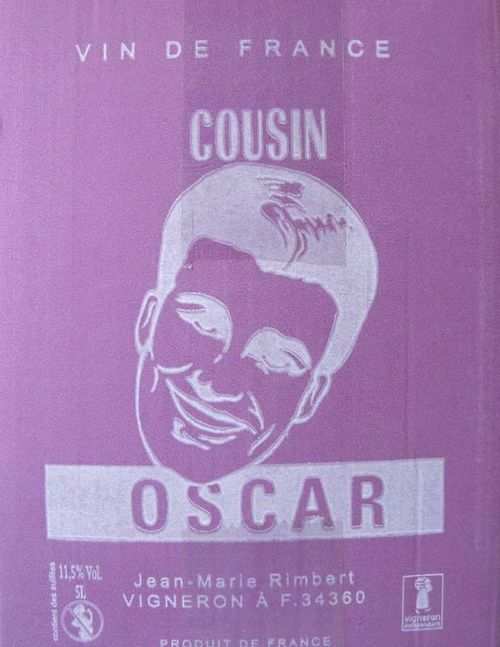 I remember a terrific red wine by the Domaine du Possible and vinified by Loic Roure (3rd story on this page) and I know they sell sometimes bibs by Isabelle Frère (Domaine le Scarabée). I’m having second thought about writing this information as this is all such a good deal and my words may cause these bibs to be sold out earlier (they usually don’t get a big allotment for these natural wines). 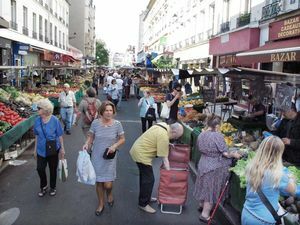 Les Crus du Soleil has two venues in Paris, the one in the 14th arrondissement (146 Rue du Château) and the one in the 12th (21 rue d’Aligre) which is my favorite because it sits along the namesake lively street market (every day except monday), also nearby the Marché Beauveau (a covered market) and the iconic wine bar Le Baron Rouge. When you approach the rue d’Aligre from the rue Crozatier, the Crus du Soleil is on the right, this is the pink shop front just after the bazar. 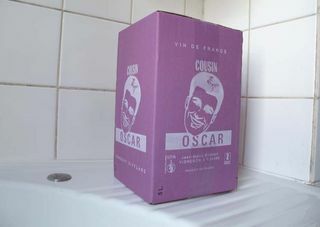 My target was Cousin Oscar, a cuvée which I knew was delivered in the shop in bibs a couple months ago and was selling there for 30 €. At the equivalent of 6 € a liter or 4,5 € for a 75-centiliter bottle this was the ideal thirst wine at a price hard to beat for an uncorrected wine if only with some SO2. I had delayed my purchase and I feared it was sold out by now but happilly there were still a few boxes of it recently. The wine is made by a colorful Languedoc vigneron, Jean-Marie Rimbert, who makes wine naturally using vineyards that have been patiently tended. His 30-hectare winery is located in Saint Chinian, a little known Languedoc Appellation which by the way is among the first regions I noticed and bought (along with Fitou and Faugères) when I first was interested in wine back in the mid-1980s’. Swift bottlingNow, finding empty milk bottles made of glass might prove arduous in 2014 as most milk is sold intetrapak or plastic bottle,s but you find here and there such bottles either on flea markets or in upscale grocery shops selling organic artisan foods. You have also the option to look for certain fruit juices that are bottled in glass and not plastic (organic juice usually).The glass milk bottle as we know it (and by a large extent the plastic bottle that imitates the original glass container) was created by Hervey D. Thatcher, an American drugstore owner in Potsdam N.Y. around 1884. 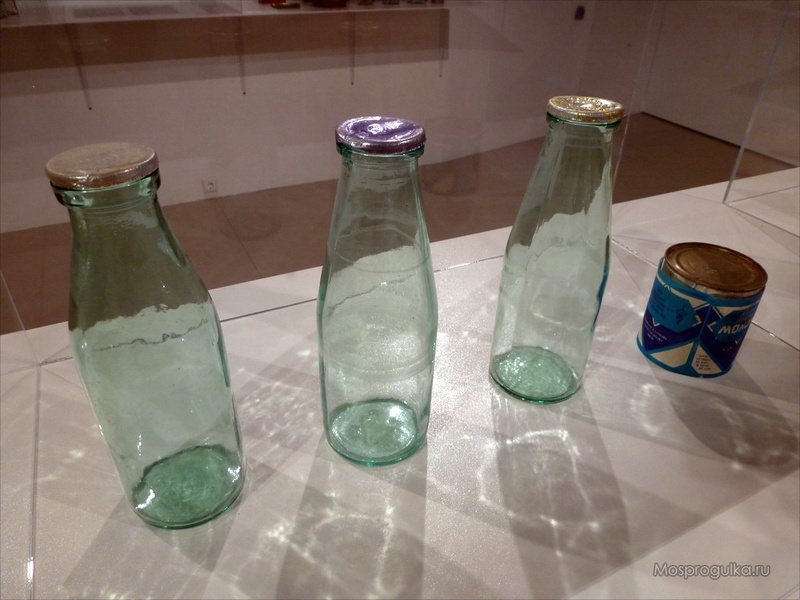 The milk bottle became a worldwide phenomenon, even the USSR having its own imitations (picture found on this page), and some milk dairies in Russia reintroducing the glass bottles for high-end milk, same in Quebec and probably in several other countries. 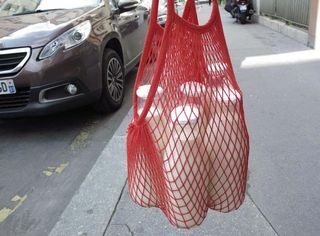 In France you can also buy new (empty) milk bottles online (there are a few websites selling such empty bottles), a one-time purchase largely amortized by repeated bottlings without having to buy corks. Back at home with the bag-in-box, I swiftly filled my five milk bottles, easy and smooth. 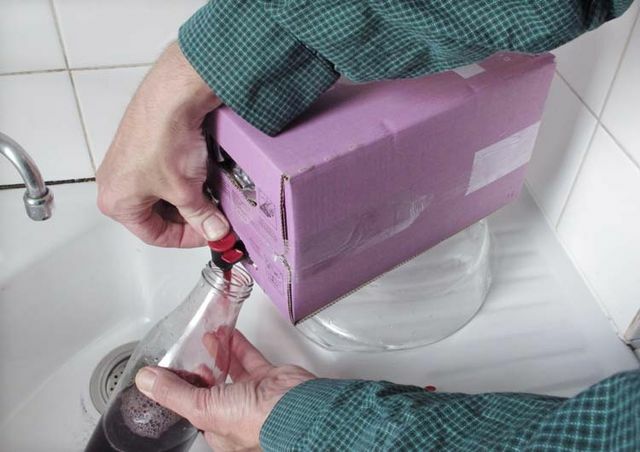 The trick is to fill 4 bottles really to the top in order to minimize the contact with the remaining air, the 5th bottle will be the first you drink, preferably the same day of the bottling. Good excuse to taste the wine right away : it is as predicted a light, easy-drinking wine. What had made me decide to buy this cuvée is that, beyong the fact it was natural wine, it sported a mere 11,5 % in alcohol, often a good omen when you get this low with uncorrected wine. The wine is made with Cinsault and I got more information when I called Jean-marie Rimbert : it is a short vinification of Cinsault (3 days) in an enamelled-metal vat to keep the fruit and avoid extraction, the yield for this cuvée was about 45 ho/ha, the vigneron says that he doesn’t make this bib cuvée every year, but only when he has enough wine. The winery has a vineyard surface of 27 hectares, it is on conversion to organic farming. This cuvée had some SO2 added on the incoming grapes as well as at racking. 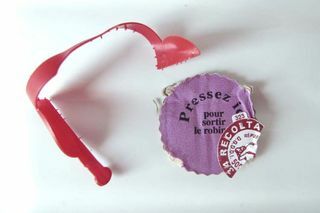 The wine is filtered also as a measure of precaution to avoid refermentation (the bib can turn round instead of square if the wine referments, says Jean-Marie Rimbert). The down thing with this thirst wine is that in my mind it got too much SO2, plus the filtration, my system felt the SO2 here, it would have been a whole lot different with much less SO2 (but I’m not a winemaker, so take my comment as it is, just an opinion from somone in a big city…). On the whole, still a good thirst wine, especially for the price. Can be stored safely laying in your wine fridgeJean-Marie Rimbert has several parcels of Cinsault but he used primarily a single block of one hectare for this cuvée. He likes the idea of thirst wines remaining affordable, he regrets that some “thirst wines” now reach prices like 20 € for a bottle, that is way over what should cost a simple wine. He remembers that coopératives in France used to make such wines that were simple and true as well as easy to drink, but he says it seems they oddly don’t know any more how to make such wines, they were actually making them involuntarily [some 30 years ago] because they didn’t know then how to polish the wines but nowadays there’s always anenologist around to guide them on corrections.Asked about his sales abroad I learn that his wines are exported in the United states (not the bib though), through Jenny & François (NY), Joli Vin (CA), OZ Wine Company (MA), Dionysos (VA), PS Wines (OR) as well as in Quebec through Syl-Vins. If your picnic or summer party is reasonable and moderate, you can even consider keeping these milk bottles in you cellar, stading up or laying down this quarter-turn closure being quite efficient and air tight. ΡΙΖΟΣΠΑΣΤΗΣ : Συναυλία για τα 89 χρόνια του Μίκη Θεοδωράκη. Σύμφωνα με πρόσφατη επιστημονική έρευνα, η όσφρηση μπορεί να βελτιωθεί με την κατανάλωση ελεγχόμενης ποσότητας αλκοόλ. Στη συγκεκριμένη έρευνα, που είχε ως επικεφαλή τον Yaara Endevelt του επιστημονικού Ινστιτούτου Weizmann του Ισραήλ, η οποία δημοσιεύτηκε στο περιοδικό νευροεπιστήμης «Behavioural Brain Research», 20 εθελοντές κλήθηκαν μέσα σε δύο δευτερόλεπτα να διακρίνουν διαφορετικές οσμές. Η δοκιμή επαναλήφθηκε, αφότου οι εθελοντές είχαν πιει λίγη βότκα (35 ml) ή χυμό φρούτων. Παρόμοιο πείραμα διεξήχθη και με άλλους 45 εθελοντές, όχι όμως σε εργαστηριακό περιβάλλον αλλά σε παμπ. Όπως διαπιστώθηκε τελικά, υπάρχει συσχέτιση ανάμεσα στο επίπεδο του αλκοόλ στο αίμα ενός ανθρώπου και στην οσφρητική ικανότητά του. Οι μικρές ποσότητες αλκοόλ δύναται να βελτιώσουν την συγκεκριμένη αίσθηση ενώ μεγαλύτερες την χειροτερεύουν και μάλιστα σε σημαντικό βαθμό. Σύμφωνα με προηγούμενες μελέτες, η όσφρηση στους ανθρώπους μπορεί να βελτιωθεί με εξάσκηση, ενώ σε λίγες περιπτώσεις έχει αναφερθεί βελτίωση λόγω φαρμακευτικής αγωγής.